CONTROVERSIAL Denver Mukamba is officially back at Dynamos after CAPS United cleared him. 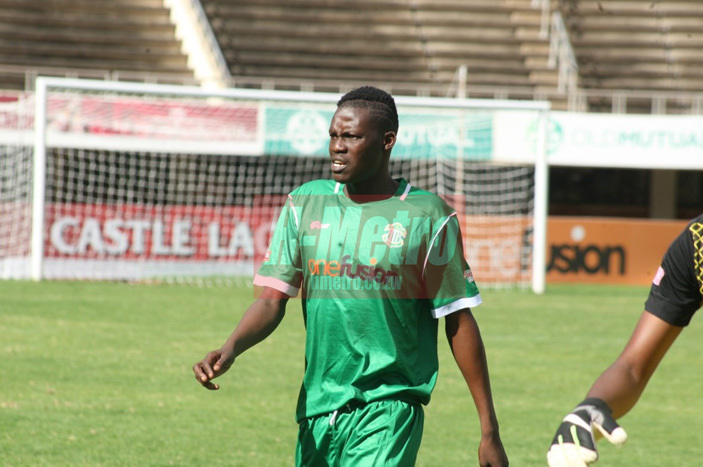 Mukamba, who joined CAPS United on a loan agreement during the beginning of the season, was handed back to Dynamos last week. Caps United spokesperson Cuthbert Chitima said his club could not keep up with Denver’s unpredictable behavior. “We handed over the official letter stating that we are no longer interested in Mukamba’s services anymore. “He hasn’t been reporting for duty for a very long time and we felt that there is no need to keep him anymore. “We had to do what any club would have done, to keep the club going forward,” Chitima said. He dismissed allegations that Denver boycotted training because CAPS United owed him. “Yes, we heard that he has been saying that we owe him that is why he is not reporting for duty, but those are lies. “We owe him close to nothing. Denver was here on loan, and there was no signing on fee or what so ever money that was supposed to be paid by CAPS to him or anyone. “Ever since he joined our club, he has been receiving his salary on time, so there is nothing called “CAPS owe Denver,” Chitima said.